Trains, Flower's, Dinosaurs, Dogs, Cats, Fish, Dragons, Elephants, Giraffe's, Alligator's, Dolphin's, Football, and Baseball themed banks. All banks can be personalized for free. And they can include a gift card with your message. 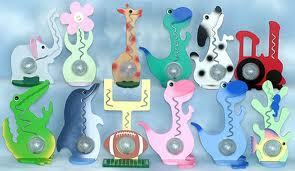 It takes all coins and can hold up to 1000 quarters. The owner John Chesnut he invented the banks for his 5 children he thought they were really neat so he took them to a craft show and sold 970 of them in one weekend. All together he has sold about 700,000 of them. 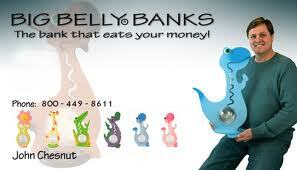 Big Belly Banks is a small family business with him and his wife running the company. These banks make the perfect gift. The one I have for review is the Dinosaurs and it is for my son. However my 2 year old daughter is in love with this every time I have money to put in it she wants to help and it's super cute and the size is perfect I was expecting something a lot smaller and this is definitly not small which I love very decorative and it get's a ton of attention when guests come over. Please go check them out Big Belly Banks this would be a nice gift for a child for the holiday's and will teach them the meaning of saving. Now Giveaway Time 1 lucky winner will receive a bank of their choice follow Rafflecopter Below. Good Luck!! Awe I love the Football one! My sons room is done in sports and he would adore this! 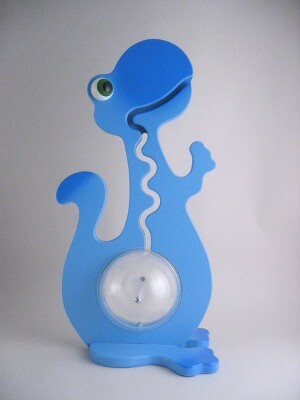 I love the Blue Dino!!! The football bank is ADORABLE! My son would love it!